With all these objectives, the current committee is doing some changes to the program and this year’s event consists of several sessions as mentioned below. 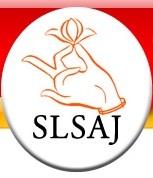 We as SLSAJ, cordially invite you and wish your valuable presence to make this event a successful as the Sri Lankan community in Japan. We are looking forward for your valuable presence for the event.